Once again we have a bumper Untappd Catchup here for you. I've been drinking a little more than usual as I try and complete one of the worst assignments I've ever tried to complete, whilst juggling work's accreditation. We've got 6 new pieces of badge artwork for you in this post - check it out and let me know your thoughts on any of the beers in this post. I had a few pints of Fixation IPA after work at The Gertrude a few weeks ago. This is right up there as Australia's best IPA; it has assertive bitterness and wonderful resinous and juicy hop characteristics. The Wheel of Styles badge has now been leveled - so you will be seeing a lot of this badge for a little while. Fixation unlocked (Level 11). Another hoppy Australia beer unlocked two badges later in the week; IPA Day (2016) & New Brew Thursday (Level 21). That beer was Venom's second beer; their Black IPA. Black IPA is such a fantastic style when done well and Venom have done very well! The malts were lightly roasted and didn't overpower the palate. That task was left the hops, with a big citrus hit cutting through the roast as well as hints of tropical fruit flavours. I will definitely be buying this beer again soon! I was clearly enjoying Black IPA's that week, as Garage Project's Lack of Faith unlocked Drink Like a Kiwi (Level 32). This was everything you'd expect from a Garage Project Black IPA - it had wonderfully complex malt flavours, with roast leading the way. The hops were citrusy and provided wonderful bitterness. If you love Black IPA's you have to try this beer! If you love beer you have to try beers from Garage Project! These guys may well be the best brewers in the Southern Hemisphere! Stella Artois is a beer I almost never drink. That changed because they launched their own badge... Host One to Remember is unlocked by drinking one Stella Artois before September 18. This checkin also unlocked Wheel of Styles (Level 12), I told you you'd be seeing a lot of this badge! I assume most of you are acquainted with Stella - it's actually a reasonably palatable lager. You always know what you're going to get with Stella; it's remarkably consistent with slightly sweet malts and some grassy hops. Respect the Kölsch is badge that was released in early January, quite why it has taken this long for me to unlock it I'm not sure... Reissdorf Kölsch is one of the oldest Kölsch beers in the market, with the brewery opening in 1894. The beer had slightly sweeter bready malts than I am used to for the style. There's a small amount a citrus flavours, from some lightly bitter hops. As per the style; it's a crisp clean tasting beer and one that would be particularly sessionable. We are getting close to the end of the Heavy Weight badge, Dainton Family's Black Sheep Coffee Oatmeal Brunch Stout unlocked (Level 46). This was a reasonably impressive beer. The flavour was predominantly of dark chocolate and was quite enjoyable. The flavour was relatively one dimensional however. It had a light creamy mouthfeel, although it was certainly less creamy than other Oatmeal Stouts. There's certainly better examples of the style out there, but it's by no means a bad beer. Duvel is one of my go to beers. It's a quintessentially Belgian beer that is world renowned. It's a Belgian Strong Pale Ale, although it almost straddles the Tripel category. This beer naturally has some sweet malts, and even some reasonable hop character, but the real star is the yeast. There's some estery spiciness, a bit of aniseed (or something similar) and some fruitiness. It's a beer that every beer lover has to try at least once! Belgian for a Day was the badge. Sky's the Limit (Level 18) was unlocked by the Murray's Wild Thing Coffee version. This beer is Murray's regular Wild Thing Imperial Stout which has had 1000 espresso shots added to the batch. As you'd expect this stout was big on coffee. It was still sweet, like the regular Wild Thing, but also had this wonderful roastiness and coffee flavour as well as impressive bitterness. Benediktiner Weissbier Dunkel unlocked Das Boot (Level 10). Das Boot is the badge for drinking German beers and has had an artwork update, as you can see below. The beer was a nice example of the style with plenty of chocolate from the malts complimenting the distinctly wheaty banana flavour. There's a touch of cloves there as well, which is a nice addition. It's on the sweeter side of the style, and this would make me less likely to buy it again. I've been waiting to try some of the beers from the Parrot Dog Flora Series for a while - their label artwork is awesome! 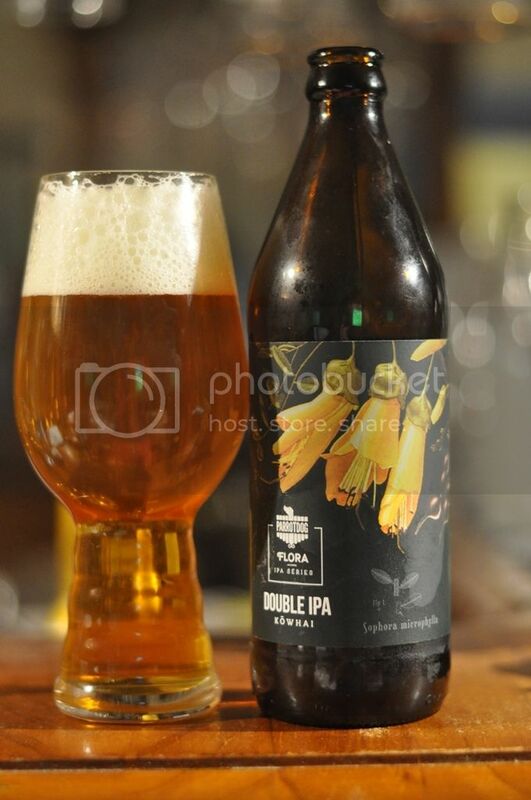 Kowhai, the "Double IPA", unlocked 2X - a new badge that you will be seeing heaps of in the future. Any beer with Imperial or Double in the style counts towards this badge. It was a wonderfully fresh tasting IPA, packed full of resinous pine flavours. It's a wonderful example of a West Coast IPA! The third time the Wheel of Styles badge has appeared in this post was thanks to Pacific Radler. It's CUB's attempt at a Radler and it was truly disgusting! For those who aren't aware; Radler's are a 50:50 mix of beer and lemonade, originating in Germany. I've had many in Europe and they can be quite refreshing. This one was as bad as anything I can recall drinking. It was disgustingly sweet, and what little beer flavour there was was horribly skunked, probably due to the clear glass bottle! Don't do it to yourselves! Last Saturday I decided to work through the 5 different Nomad beers that had accumulated in my fridge. Naturally a few of those unlocked badges, the first of which was The Wild Mongrel. The name is fitting given the nature of the beer. It is their Cruisin' Ale which has spent plenty of time on Shiraz grapes. It's gathered a wild yeast strain somewhere along the way and has some nice vinous character and light sourness. If it were either a little more sour, or a little more vinous, or a little fruitier - it could've been very special! Pucker Up (Level 39) is why we're talking about it. So-Cal-Iente, the collaboration between Nomad and Stone Brewing, was the other Nomad beer to unlock a badge; Better Together (Level 14). This was a wonderful Black IPA! There's roast and a hint of rye in the malt - before citrus, both added orange zest and from the hops, come to the fore. The orange is very prominent while the Anaheim chilies, that were also added, only give the faintest hint as the beer warms up. It's definitely Black IPA season, so jump on this one while it is still around! My Marketing Management assignment may have gotten the better of me judging by the length of this Untappd Catchup... The subject is dead and buried come Thursday night, and I hope that will allow me to get some content posted this weekend! I've got a very big Untappd milestone coming up soon and have a beer I'm pretty excited for lined up for it. I would also expect to have Part 4 of The Hottest 100 up within the next week. Until next time guys!